Do you want to believe? 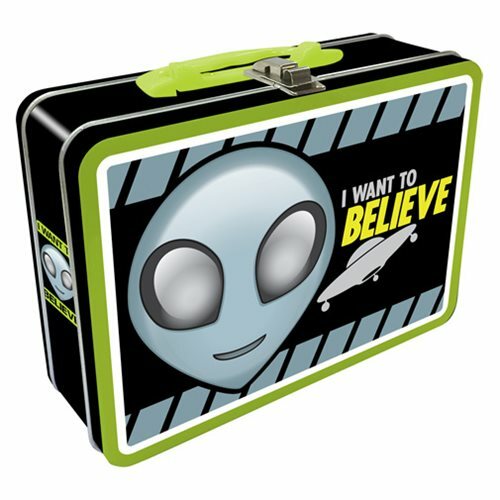 Maybe you'll find the answers you seek and the certainly you desire inside this Alien Believe Regular Fun Box Tin Tote. Probably not, but you're bound to get some comments when you carry it! Includes a handle and a metal latch.